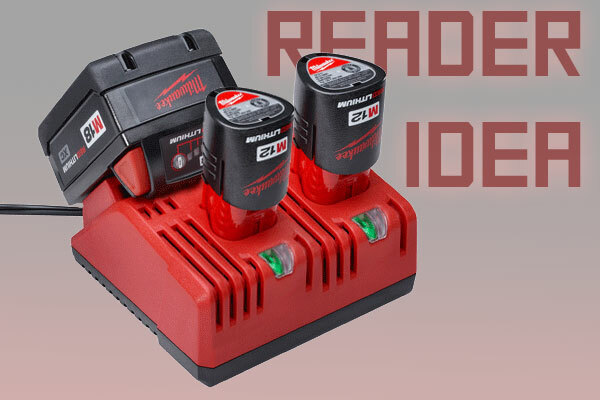 Currently viewing the category: "Reader Idea"
If you flip through Toolmonger’s comments — as some tool manufacturers do, incidentally — you’ll come across a number of ideas readers post from time to time targeted at specific manufacturers. We’ve decided to start pulling some of those ideas out and featuring them, especially when they strike us as, well — pretty damn good ideas. This one’s for you, Milwaukee: Why not add another M12 bay on your multi-voltage charger?